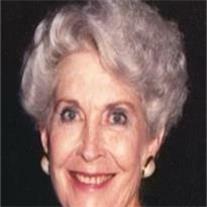 Marie Felshaw Peterson, 87, died on May 3, 2012 with her loving family by her side. She was a native of Arizona born on January 26, 1925 in Safford, Arizona to George Alma Felshaw and Mary Elizabeth (May) Morris. She moved to Mesa and graduated from Mesa High. She earned her teaching degree with high honors from ASU while raising five children as a single parent. Marie taught in the Mesa Public Schools for 15 years. She received a Master’s Degree from BYU. She was an active member of the Church of Jesus Christ of Latter-day Saints and served in many callings. She served three missions – North Carolina, Scotland and the Family History Center. She also served in the Mesa Temple for many years. Her greatest joy was her family. She was a great friend to many and always saw the best in people. She inspired and touched the lives of all who knew her. She will always be remembered by her cheerful, “Hello, Hello!